VIENNA, June 22. /TASS/. The OPEC/non-OPEC Joint Ministerial Monitoring Committee has advised the alliance to increase oil output by 1 mln barrels per day, Russian Energy Minister Alexander Novak told reporters in Vienna on Thursday. 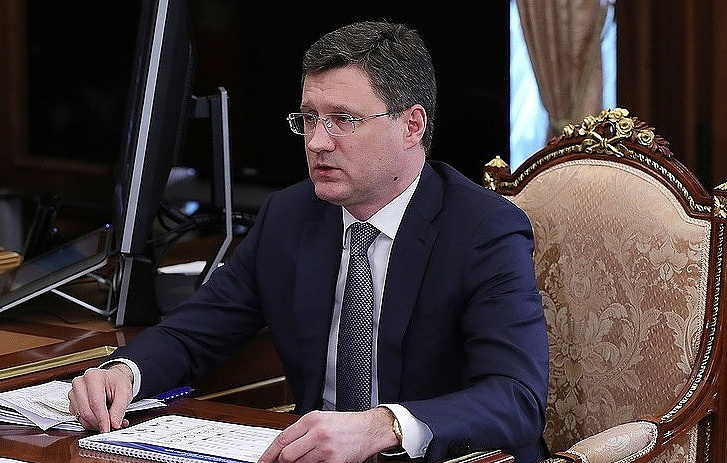 "The decision will be a recommendation for OPEC and non-OPEC …to consider the issue of increasing the output by 1 mln barrels per day," Novak said. The meeting of the OPEC/non-OPEC Joint Ministerial Monitoring Committee, which usually proceeds from the recommendations and future scenarios of the technical committee, was held on June 21 in Vienna. The ministerial monitoring committee, which includes six countries - Saudi Arabia, Russia, Kuwait, Venezuela, Oman and Algeria, in turn, makes recommendations to the OPEC+ meeting in large numbers, which will be held on June 22-23. The OPEC+ agreement, which unites 24 countries, has been in effect since the beginning of 2017. Over the past few months, the plan has been overfulfilled, including through declining production in Venezuela and a number of African countries. As of May of this year, the level of performance has reached 150%, which means that the deal participants reduced production by 2.7 mln barrels per day instead of the expected 1.8 mln barrels against the level of October 2016. Against the backdrop of over-fulfillment of the agreement, the ministers of the OPEC + countries started talking about the need to soften quotas and gradually restore production from the second half of 2018. Novak earlier said that one of the options discussed was to increase output by 1.5 mln barrels compared with the current level. Iran, Venezuela and Iraq oppose boosting the output. Saudi Arabia has called for increasing the output by 1 mln barrels per day.